"11-11-11" does not get any praise with the date it tries to cash in. Simply put, the title itself would exude something cheap, crass and ultimately something to avoid at all costs. Who could really expect a quality movie from something that is a sell out? But we beg to differ. "11-11-11" may not be a masterpiece per se but it is not half as bad as first assumptions might tell you. The acting maybe quite horrendous and more so the cheap thrills (or lack thereof) it brings forth. But what really makes "11-11-11" watchable is its story with a twist ending that cap things off with a jaw-dropping reveal - an obvious homage to the "Saw" series in which the same director is at the helm. Joseph Crone (Timothy Gibbs) is a world-reknowned writer with a cult following but ever since his son and wife died when their house burned down, he has not only lost the craving to live and to write but he has also lost faith in God. For him, God is dead because God abandoned his family in their greatest time of need. Recently, Joseph has been having recurring visions with the numbers 11-11. His family was burned on November 11, he was involved in a car crash on 11:11AM and so forth. One day, his brother, Samuel (Michael Landes), calls him from Barcelona and informs him that their father will die soon due to illness. Joseph is forced to confront his father, brother and the faith he has renounced when he decides to go to Spain. But soon, he discovers that there is more to November 11, 2011 and that him being in Spain on that date has been predetermined by an unknown force that begins to haunt him and his brother. "11-11-11" is not a bad film simply because of its story. From start to finish, the film will capture your attention because it had a tendency to keep things interesting with a steady pace of uncertainty. Then things were capped off well with a surprise twist towards the end. It may not be as shocking and clean as what we felt when we watched as the first "Saw" film or "Prestige" but it was still logical, clean (even unconventional) and most importantly, believable. The bad thing about "11-11-11" is that everything else feels cheap. The effects were mostly lackluster with the demons wearing masks that look like they were made for an 80's horror film. The acting was the biggest sin of all with the actors coming of as dull and lifeless. Those two negativities combine to make a pretty underwhelming experience horror-wise. 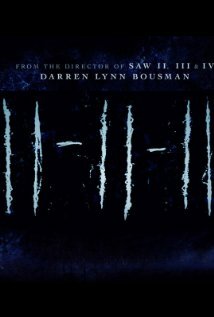 "11-11-11" is good enough to keep the audience interested but suffers from poor acting and bad special effects.